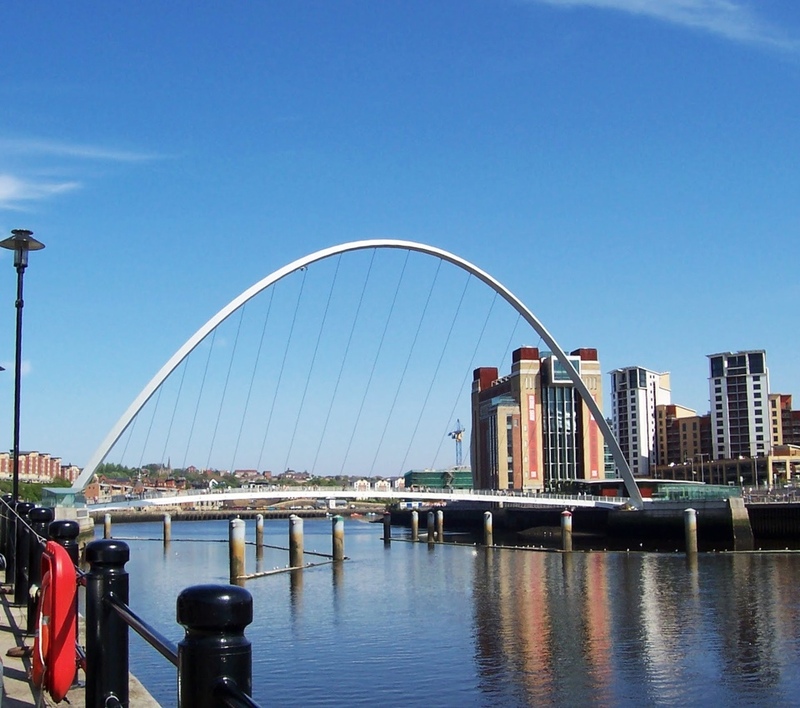 A couple of Sunday mornings ago we found ourselves down on the Newcastle Quayside. We had my partner’s son with us for the weekend again and like to take him out of the house when the weather suits, just to keep him off the computer if nothing else! This particular weekend we enjoyed a mosey along on the Tyne, a mooch through the Sunday market and a peek into Flow. Flow is a collaborative floating artwork designed by Owl Project and Ed Carter. It’s docked on the Tyne, nestled just beside the Millennium Bridge, for all of Spring/Summer 2012, making music out of energy drawn from the water. The music changes as the water conditions do and as visitors interact with the piece. The 9 year old was only moderately interested in this so, once we had exhausted all the knobs and levers, we moved on. We ventured into the busy Baltic gallery. Surely Contemporary Art can hold a child’s attention? Well, no not really, but they have a kids level. Level 2 houses an interactive playing station, for crafting and whatnot. So, with slightly more interest in these activities, we pulled up a (tiny, child-sized) seat and entertained ourselves for a bit. I hear that there are family tours of the gallery, aimed at making the arts more accessible and interesting to young children. Alas we had just missed one so I can’t vouch for that on this trip. Hunger drove us out of the Baltic and up the millions of steps to The Sage. I’d heard the Brasserie does a fabulous Sunday lunch and involves live music on the concourse. We weren’t disappointed. The atmosphere was lively but classy and the service in the brasserie was perfection. Mostly down to the man who was practically single handily running the show, but still found time to make sure we had everything we could possibly need and even crack a few jokes. Kudos to him. The food itself was wonderful, I’m only sorry i didn’t take any photos of our plates to accompany this article. Sunday roast at The Sage being a selection of mains ranging from the classic roast beef and Yorkshire puddings to a deliciously fresh tasting chicken and tarragon dish. I had the roast beef and quickly ran of gravy, as I always do whenever we go somewhere ‘nice’ for a roast. I must be so uncivilised. I’m aware that my food is always brought as the chef meant it to taste, but I always need just a little bit more. Sorry Chef! But a jug of extra gravy was brought to me upon request without even a hint of a frown. Dessert was divine. Especially the one I didn’t choose… Isn’t that always the way? My other half and his junior ordered the chocolate panacotta bread and butter pudding. Which was absolutely dreamy. My chocolate tart with orange creme fraise was delicious too, and much more my usual selection, but not quite as tasty as the huge square of bread and butter pudding I missed out on! The only thing that put a dampener on the meal was that after we’d paid I saw a sign that said that the Brasserie was offering 10% off all adult meals and kids eat free all month! We weren’t offered this, as our bill came to the usual price on the menu. It was a bit of a shame as it would’ve been really nice if someone had mentioned this to us prior to dining or paying but never mind. A good meal was had by all anyway and I’d definitely recommend the Brasserie at the Sage to anyone wishing to dine with a perfect view of the bridges and Newcastle’s Quayside. The Mal Maison, on the other side of the Tyne do a really great Sunday roast, with wine, but the downside being that even if it is gloriously sunny outside it’s always very gloomy in the Mal, especially in the restaurant towards the back of the hotel. Perfect for an evening meal, but a bit depressing for a sunny Sunday, and you won’t get your view of the river from your table either. So based on atmosphere and location I’d say The Sage is the winner.